Near Nahanni Butte, Northwest Territories. Canadians, unlike billions of people around the world, see clean water as their birthright. Images of pristine water are rooted deep in the Canadian psyche, from Tom Thomson's Cold Spring in Algonquin Park, to photos of Pierre Elliott Trudeau canoeing on fresh northern lakes. As a commodity, water touches every facet of the Canadian economy. It powers industry and washes away industrial, urban and agricultural waste. Without it, turbines don't spin, croplands become dust bowls, and rainforests burn. 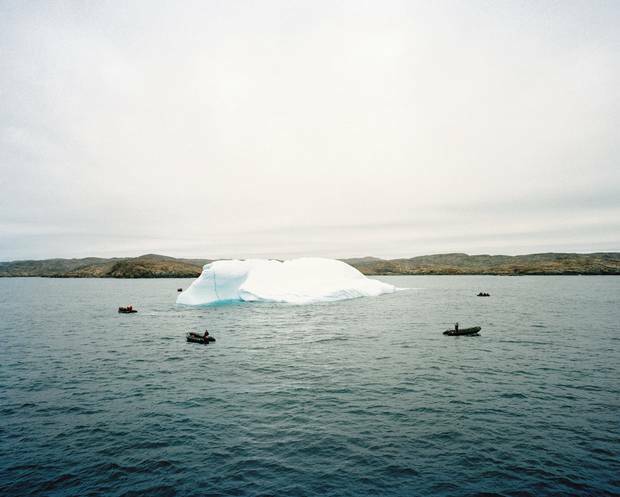 This story is part of a Globe and Mail series on the future of our most critical resource. Visit the Headwaters series page here. But water resources can't be protected by our good intentions alone – that takes government policy. If it is tainted, water can sicken entire communities – as happened in Walkerton, Ont., in 2000, when seven people died and more than 2,000 became ill from E. coli. Across Canada, in a typical month, there are more than a thousand active community drinking-water advisories. In recent years the federal government has retreated – quietly, and to an unprecedented extent – from the regulation of water. Lawyers, scientists and past federal employees interviewed by The Globe and Mail say that a series of changes made under Stephen Harper have reduced enforcement and weakened environmental controls, putting our water at risk. Even some industry representatives, who lobbied the government for a streamlined regulatory framework, have been surprised at the extent of the changes. While the Liberals in Ottawa are currently focused on global climate change, an equally compelling environmental issue faces us at home. Canada's water is under pressure from oil and gas development, logging, hydro generation, and industrial and urban pollution. Glaciers are dwindling, and aquifers are being depleted. We must manage our water, so we can keep using it. Figuring out that balance – one that ensures environmental protection while meeting society's demands – will be one of the new government's greatest tasks. Neither Fisheries Minister Hunter Tootoo nor Environment Minister Catherine McKenna was available for an interview on how they plan to address these matters. Their staff responded with brief e-mails referring to their mandate letters from Prime Minister Justin Trudeau, and the party's campaign platform included several measures to reverse course on some of the regulatory changes, but the details of how the Liberals will proceed on water-related issues are yet to be made public. Over the next week, The Globe and Mail will examine the many challenges to Canada's watersheds. From the battle to preserve clean water in the Great Lakes, to the more than 100 boil-water advisories affecting First Nations communities, to large-scale projects that have sparked public outcry, policymakers face critical questions about the future of a resource we assume will always be available. We will explore these questions in depth, consider what solutions technology offers, and report on what individual water users can do to make a difference. West Coast of Haida Gwaii. Eamon Mac Mahon is a Canadian artist who works with photography and video. He is represented by Circuit Gallery in Toronto, and is a member of Boreal Collective. 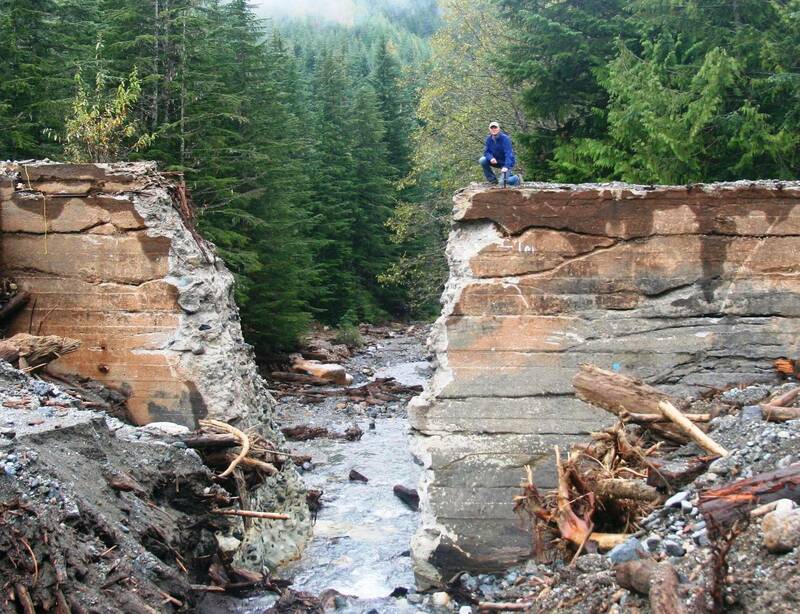 Standing on a footbridge where Britannia Creek flows through an old mine site, Mark Angelo takes a deep breath and catches the stench rising from the water. "That's a wonderful smell," he says. Below him, scattered along the banks of the stream that tumbles under the Sea-to-Sky Highway, about 50 kilometres north of Vancouver, are the carcasses of 300 salmon. They died naturally, after spawning, but not long ago this water was so contaminated with acid runoff from the Britannia Mine that it was devoid of life. Not only were there no salmon; there were no aquatic plants or insects at all, as a caustic broth from the mine poisoned the cold, bright water. "It was one of the most toxic sites in North America," says Mr. Angelo, chair emeritus of the Rivers Institute at the British Columbia Institute of Technology. The stream was killed in the early 1900s, at a time when governments didn't question resource development and had little concern about environmental damage. Some of Canada's oldest legislation deals with water, including the Navigable Waters Protection Act (now the Navigation Protection Act) which was passed in 1882, three years before the last spike was driven to complete the Canadian Pacific Railway. At that time waterways were still Canada's primary transportation routes, and the bill was designed to ensure that bridges wouldn't impair navigation. It was soon expanded to cover dams, docks, piers and just about any other structure that stuck out into the water. In 1906 the Supreme Court of Canada reinforced the scope of the act by defining "navigable water" as any body of water that could float a canoe – broadening the legislation so that it applied to millions of lakes, rivers and streams. But over several decades, beginning in the late 1800s, successive Liberal and Conservative governments also developed a complex regulatory framework that went beyond these economic concerns, and introduced rules to protect the environment. Inevitably, as layers of regulation built up, they became cumbersome to administer; there were also archaic remnants of the original regulations that hindered many projects. Mr. Harper's government cited many examples of this when it broached the need to modernize the regulatory system. Among them: a City of Moncton application to build a culvert under a highway, which took eight months to secure approval; and a Hydro Quebec transmission line that took 13 months to get approved. Then there was the case of Wabamun Lake, near Edmonton, where, over a span of three years, the government was obliged to process 80 applications from cottagers who simply wanted to put in docks. Reforms were aimed at eliminating that kind of red tape, the Conservatives said. To an extent, that was true: Legislation routinely needs to be updated to reflect changing technologies, priorities and public needs. But Mr. Angelo, along with many other environmental academics and researchers, thinks the government went too far. As it streamlined processes, they say, it also undermined environmental oversight – both by scaling back the scope of regulations and by reducing enforcement. 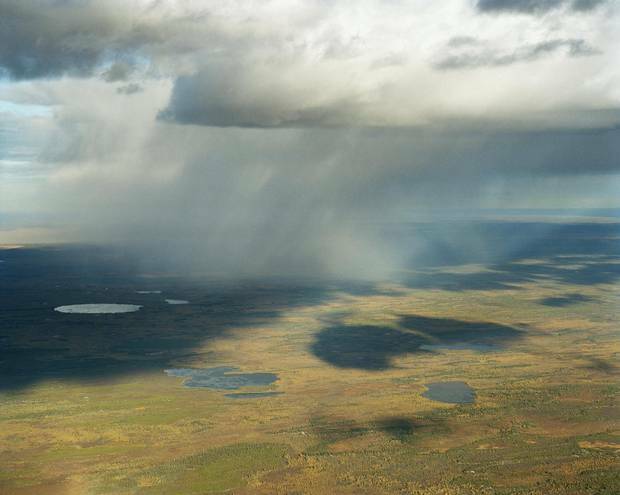 South shore of Lake Athabasca, Saskatchewan. Canada's water is regulated by multiple departments and agencies administering several key pieces of legislation. In 2012, the government amended many aspects of that regulatory framework, narrowing the scope of the rules, and revising the processes by which decisions were made. Most of the amendments were buried in sweeping omnibus legislation, which meant that they did not have a chance to be debated, bill by bill, in the House of Commons. Collectively, the amendments softened regulations protecting water from pollution, allowed the destruction of fish habitat, restricted public participation in environmental reviews, made it easier for pipelines and bridges to cross waterways, gave industry a self-policing role in assessing environmental impact, and reduced protection for species at risk. Taken together, several changes both scaled back the government's commitment to fishery regulation and reduced its capacity to monitor whether its regulations were being adhered to. One major set of amendments was to regulations that prohibited the "harmful alteration or disruption, or the destruction of fish habitat" (known as the HADD section of the act). This section had been routinely used by fisheries officers to protect fish habitat from the discharge of pollutants and other harmful effects. Under the old legislation, bridge and pipeline crossings, dredging, gravel mining in rivers, and the crossing of streams by heavy equipment could all lead to HADD prosecutions. In the new bill, the HADD section was altered to prohibit "serious harm to fish that are part of a commercial, recreational or aboriginal fishery, or to fish that support such a fishery." This amounted to a significant reduction of the areas protected. Fish in wilderness waters not regularly visited by people would not be protected – nor, crucially, would their habitat. Furthermore, in the new HADD section, "serious harm" was defined as the "death of fish" or the "permanent" alteration or destruction of their habitat. Temporary destruction – the kind that might result from an oil spill – became legal. Other changes gave cabinet the authority to exempt individual projects, or complete water bodies, from the Fisheries Act entirely. This made it possible for a specific mine, for example, to legally pollute a river or lake. As well, the budget of the department of Fisheries and Oceans (DFO) was cut by $80-million in 2012, and its staffing levels reduced. Changes to this act have given cabinet the authority to approve any project, regardless of its environmental impacts, thus politicizing such approvals while severely curtailing the number of projects screened. An environmental assessment (EA) is the basic tool by which a government examines the impact that a proposed project might have, and determines whether it ought to be approved. Changes to the CEAA gave cabinet a greater and more direct role in decision-making, dramatically tightened the time frame for environmental reviews, reduced opportunities for public participation, and recognized provincial assessments as equivalent to federal reviews. Under the new rules, if an assessment concludes that a specific project would cause "significant" environmental effects – which in the past would have been grounds for rejecting it – the project is now referred to cabinet to determine whether those effects are justified in the circumstance. The amendments also stated that "only designated projects" would require environmental assessment; in the past, any project that involved federal lands or required a federal permit would have triggered an assessment. Typically, the environment minister designates projects for review under the revised legislation, also opening up the process to potential politicization. Just before the legislation was amended, according to an analysis by the environmental law firm Willms & Shier, there were 2,970 projects on the CEAA registry for screening, including pipeline rights of way, oil- and gas-well access roads, gravel mines, and waste-treatment facilities. Once the revisions were passed, 2,900 of those projects – almost 98 per cent – were dropped. Changes here slashed the number of water bodies considered significant enough to be specifically protected by the federal government, and added a significant hurdle to the review of any particular project to be built on such bodies. Previously known as the Navigable Waters Protection Act, the original purpose of this legislation was to keep waterways open to marine passage. But over the years, it evolved to include an environmental dimension, and so could trigger environmental assessments of projects. In 2012, the word "waters" was removed from the title of the bill. It was a change of portent: The focus of the legislation now became solely the protection of navigation, and the ability to consider the environmental impact of projects was severely limited. There are over 8,500 rivers and two million lakes across Canada. 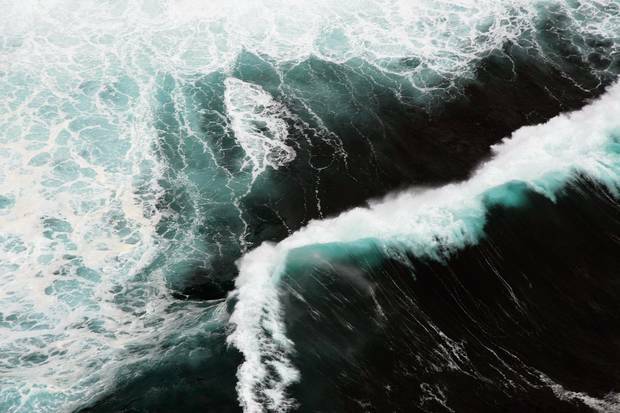 While the government was drafting its amendments, it looked at a list of 1,070 bodies of water that were considered significant enough to be specifically listed in the act – as designated waters, they would continue to be covered. By the time the legislation was passed, only 162 of them – 97 lakes, 62 rivers and the three oceans that border Canada – were included. Now dams, bridges, pipeline crossings and other works can be built on almost any body of water in the country, without prior approval under the act and without triggering an environmental assessment. 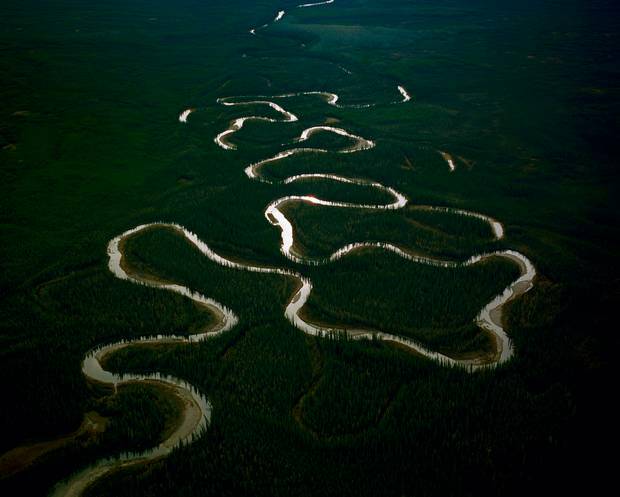 For example, only one river in the Northwest Territories – the Mackenzie – is designated. In B.C., such rivers as the Stikine and the Liard are not listed. As well, until the 2012 amendments, projects submitted for approval under the NWPA could trigger a review based on certain environmental concerns. Under the NPA, assessments are triggered only if a project is also on the Canadian Environmental Assessment Act's truncated project list. Also in 2012, responsibility for assessing potential damage to fish and fish habitat from pipelines and power lines was transferred from the DFO to the National Energy Board (NEB). But while the NEB got new responsibilities to assess environmental impacts, it also lost the authority to refuse what's known as a certificate of public convenience for pipelines. Under the changes, all final decisions on whether to refuse or grant a certificate – that is, an authorization to construct and operate a pipeline – are made by cabinet. Under the amended version of SARA, the NEB is no longer required to impose conditions to protect critical habitats when it issues pipeline approvals. In the past, an independent body of scientists recommended to government whether a species should be listed. When necessary, a critical habitat was defined, and a species-recovery strategy was drawn up. What's more, before the amendments, project permits could not exceed three years. Under the updated regulations, a permit can be issued for any length of time. 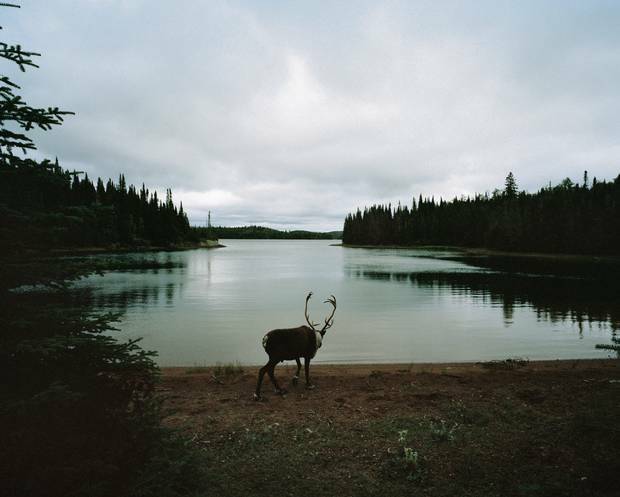 Woodland Caribou, Slate Islands, Ontario. With his white beard and folksy manner, Otto Langer seems like a friendly Edmund Gwenn in Miracle on 34th Street. But before retiring in 2001, the former head of habitat assessment in B.C. and the Yukon for the DFO was known for relentlessly pursuing polluters on behalf of the government. Standing on the banks of the Fraser River, at a site slated to become a jet-fuel facility with an unloading dock, a pipeline and an 80-million-litre tank farm, Mr. Langer outlines the project's impact. "[It] will allow barges and Panamax tankers of highly toxic and flammable jet fuel to enter the Fraser River for the first time in history," says Mr. Langer, as flocks of birds huddle on the water upstream from the Alaksen National Wildlife Area, where marshes are used by 1.4 million birds for wintering or migration. "I'm just amazed they could allow anything like this," he says of the facility, which was proposed by the Vancouver Airport Fuel Facilities Corporation and granted environmental approval by the province after Ottawa let B.C. handle the file. Mr. Langer now heads a citizens' group that launched a failed court bid to quash the provincial certificate. "It involves federal fisheries, federal migratory birds … a federal harbour, a federal airport – but where was the federal government? They just disappeared and let the province look after it." Mr. Langer rejects the suggestion that a jet-fuel spill would evaporate quickly and thus not pose a serious environmental threat. 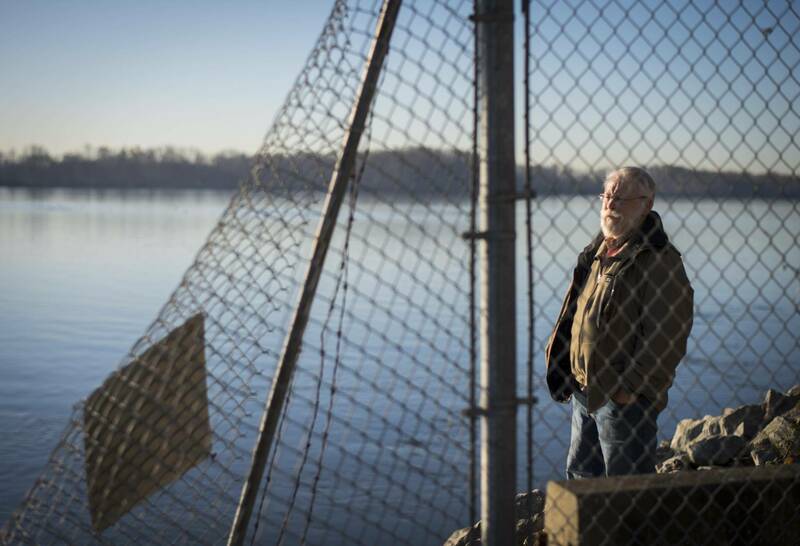 "Years later it could be seeping out of the mud flats," he says. "I was shocked when I went to Lemon Creek [in the B.C. Interior, where a truck spilled jet fuel in 2013]. I was there 68 days after the spill … and 100 feet away from the stream, I could smell the jet fuel. It destroyed everything in that stream, from blue herons to otters to all the fish." Jeffrey Jones, who handled environmental prosecutions for the Department of Justice for 25 years, says that the weakening of oversight by Ottawa has occurred simultaneously on two fronts: Not only are the laws less forceful, but there has been a retreat from enforcement in general, he says, in part because of cuts to field staff. In the Lemon Creek accident, a truck carrying aviation fuel for helicopters fighting forest fires took a wrong turn (the company blamed the province for failure to provide adequate signage) and tumbled into the creek. Mr. Jones, now in private practice in the small B.C. coastal community of Sointula, said he has handled over 2,000 environmental prosecutions for the Crown – and in his view, Lemon Creek would have been a "slam-dunk prosecution" under the old Fisheries Act. The changes, he says, upended a long tradition of oversight: "We got 20, 30 years of good, solid enforcement regimes that regulated [corporate extraction] and every now and then they charged. And it worked really, really well. You throw that out and it is really worrisome. What have you got? You've got Lemon Creek." David Schindler, a professor of ecology at the University of Alberta, says the changes have clearly created "an uninhibited pathway" for industrial development. "All that they have done seems to have set the stage for expediting the approval of more oil-sands projects and pipelines. It's just total madness." In 2011, the Canadian Association of Petroleum Producers and other energy-industry groups wrote to the federal government, asking for a modernization of environmental laws that stood to affect "$120-billion of shovel-ready investments." That's what they got, says Calvin Sandborn, legal director of the University of Victoria Environmental Law Centre – and in some cases, "the wording for this new, narrowed legislation was taken directly from oil- and gas-industry requests." Among the most egregious changes, he says, were restrictions that made it difficult to participate in environmental reviews or to cross-examine witnesses at NEB hearings. In the ongoing NEB hearings into the proposed Kinder Morgan Pipeline Expansion Project (from Alberta to B.C. 's Lower Mainland) new federal restrictions resulted in more than 1,200 individuals or groups being denied a chance to speak at public hearings. The reason: They weren't directly affected by the proposed pipelines. Just off Baffin Island, Nunavut. Alex Ferguson, vice-president of policy for the Canadian Association of Petroleum Producers (CAPP), rejects the idea that the legislation was drafted by and for industry. "I know there are lots of rumours flying around, that industry demanded this," he says. "[Looking at the policy that resulted] I thought, boy, it wasn't a very smart thing to demand." Mr. Ferguson says the changes came abruptly and caused a lot of confusion both in industry and government. "I felt bad for the poor bureaucrats. They were trying to sort out 'What does this mean? How do we make this work?'" he says. Although Mr. Ferguson says industry didn't dictate the changes, everyone has been learning to work with them, and he hopes the new government won't rush to make revisions without first making a careful assessment. His suggestion: "First find if there has there been anything negative that's happened as a result of those change … Our view would be 'Have a look at it. What's wrong? What's missing? What can be enhanced?' And then move from there, as opposed to turning the clock back." Pierre Gratton, president and CEO of the Mining Association of Canada, also rejects the idea that legislative changes were made to please his industry. "That's actually nonsense," he says. "These reforms, we've come to the conclusion, had … probably a lot more to do with pipelines than mining." On the ground, he says, there has been "no reduction in federal oversight of mining projects." But he understands at least some of the concerns that have ensued. "I think … a legitimate question to ask is 'Was too much taken out?' It's one thing to argue you don't need an [environmental assessment] for a park bench, but there are other activities, you know, a run-of-river hydro project … [or] pipelines. So I think you could make a legitimate argument that there's too much that's not captured and [that] the Fisheries Act oversight has been diminished." In the environmental platform the Liberals released during the federal election campaign, there's a photo of Justin Trudeau as a child, in the bow of a canoe, with his father in the stern, steering. Hardly old enough to see over the gunwales, the boy has a solid grip on the paddle and is bracing for the tumble of white water ahead. "I was barely walking before my father put a paddle in my hands, and started teaching my brothers and me how to read a river," he wrote in the introduction to the platform, promising to "undo the damage done by Harper" and restore public trust in the government's ability to protect the environment. His government has already started assembling teams to examine the regulatory changes made in 2012. In its platform, the party promised to "replace Mr. Harper's changes to the environmental-assessment process," to ensure decisions are based on science; to "modernize" the NEB; to review endangered-species protection; and to open up public participation in assessment processes. In a letter last month to the B.C. Wildlife Federation, Liberal Party of Canada President Anna Gainey reinforced that message. Said a party statement attached to that letter: "A Liberal government will launch an immediate, public review of Canada's environmental assessment processes. Based on this review, a Liberal government will replace Mr. Harper's changes to the environmental-assessment process. Morevoer, a Liberal government will conduct a wholesale review of changes to the Fisheries Act and elimination of the Navigable Waters Protection [Act] that will restore lost protections." Other promises include implementing the recommendations of the 2012 Cohen Commission, which examined the collapse of sockeye-salmon stocks in the Fraser River; reversing a $40-million cut from the ocean-monitoring programs; and "end[ing] the practice of having federal ministers interfere in projects while they are being assessed." This month, the Liberals followed through on another promise, announcing a ban on crude-oil tankers on B.C. 's North Coast. In mandate letters to Environment and Climate Change Minister Catherine McKenna and Fisheries Minister Hunter Tootoo, Mr. Trudeau reiterated the promises made during the campaign. His government is now in power and entering fast water. As the Prime Minister knows from his days of canoeing rapids, it is time now for decisions. Mark Hume is a national correspondent for The Globe and Mail, based in Vancouver, where he writes a weekly column focusing on the environment, and is the author of three natural-history books about rivers.